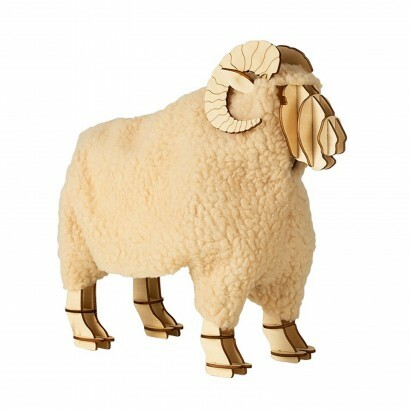 An unusual and yet adorable table lamp that embraces shabby chic, this designer ram table lamp puts a little fun in your home. 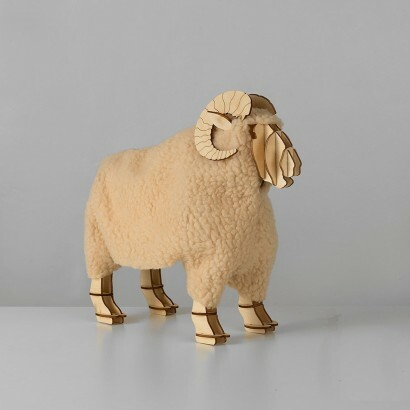 A creative design based around the vintage slatted wood look, this sheep lamp has a light wood finish and comes complete with it's own cosy, fleecy coat! 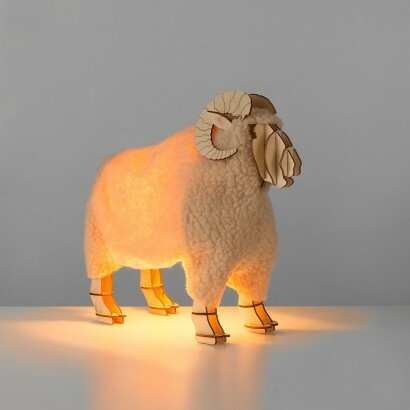 Suitable for use with an E14 4W bulb, this daring lamp casts a warm and subtle glow making it ideal for atmospheric lighting or for kids rooms.